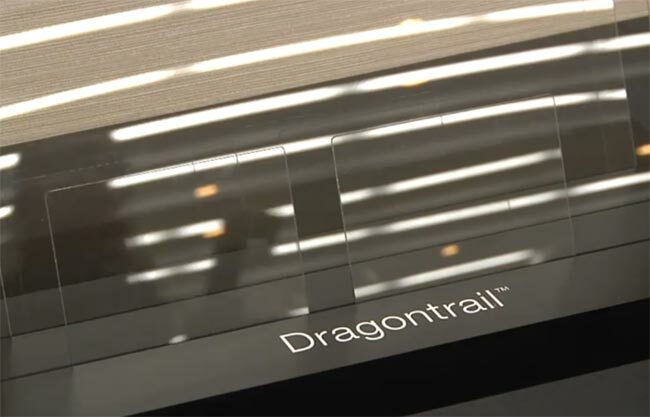 Dragontrail glass a new competitor to the well established Gorilla glass has just been unveiled by Japan’s Asahi Glass. The new Dragontrail glass is aimed at smartphones and tablet PCs that is is about six times as tough as conventional soda-lime glass and has been developed over the past two years. Watch the video after the break to see the Asahi’s Dragontrail put through its paces by reporters trying to scratch and break the toughened glass ast its unveiling. The Dragontrail glass is ultra-strong, scratchproof, dropproof, and features a beautiful, pristine finish, but will it be able to take market away from Gorilla Glass, which was introduced in 2008? Asahi has not revealed a production timetable for the new Dragontrail glass as yet, but is looking to generate around $360 million in revenue from the glass by next year.